I remember December 28, 1975 as if it was yesterday. I was 14 years old, and my Minnesota Vikings were playing the Dallas Cowboys. Dubbed “America’s Team” by the national media, we Vikings fans harbored a deep resentment of the Cowboys. We, like many football fans around the country, believed that the Cowboys received favorable treatment by the NFL referees (not to mention the seemingly endless love fest rained upon the Cowboys by TV’s press box pundits). Many of us could support our position by citing several examples of questionable calls that went the Cowboys’ way back in the day. But I digress. The game was on the line as the Cowboys were driving to score a potentially game winning touchdown. Cowboys quarterback Roger Staubach dropped back and launched a pass towards the end zone. 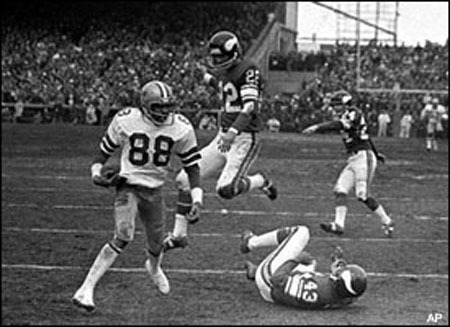 Cowboys receiver Drew Pearson and Minnesota defender Nate Wright were poised to battle for the ball when Pearson pushed Wright out of the way and snagged the pass. Touchdown! Or was it? It seemed obvious to those of us watching the game from our Twin Cities living rooms that Pearson had committed offensive pass interference as he pushed the defender out of his way to position himself to catch the ball. As obvious as it seemed, however, the referee thrust his arms vertically into the air, signaling the Cowboys winning touchdown. The press box pundits heaped mountains of praise on Staubach, Pearson, Coach Landry, and America’s Team. I had had it. At that moment, I swore a Vow of Supreme Hatred against the Dallas Cowboys. From that day forward, my favorite team was “whoever is playing the Cowboys”, followed by the Minnesota Vikings and, later, the Houston Oilers. For years afterward, I faithfully rooted against the Cowboys. I rued their successes and celebrated their failures. Upon moving from Minnesota to Houston in 1977 I readily adopted my new home team with their incredibly cool cast of players and enthusiastically supportive fans. 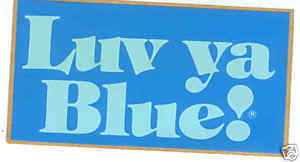 My first car proudly sported the “Luv Ya Blue” bumper sticker of that era, even long after that era had passed. The fact that many native Houstonians seemed to hate the Cowboys as deeply as I did further solidified my resolve to forever keep my Vow. When Bud Adams moved the Oilers to Nashville, my interest in NFL football was immediately diminished. To add insult to injury, the Cowboys were televised weekly in the Houston market. While it was fun to root against the Cowboys, I missed having a home team behind which I could throw my support. When the NFL announced that Houston had been awarded an expansion franchise, Houston’s football fans were fired up and ready to support their new team. I was ready, too and rushed out to purchase my first Houston Texans t-shirt to show my support. I still have that shirt. In September 2001 I moved my family to Roanoke, Virginia. Quickly upon arriving in Roanoke, I learned that local NFL fans supported the Washington Redskins. I have no idea why I couldn’t bring myself to embrace the Redskins, but I couldn’t. Cowboys games, however, were televised every week. I continued to root against them in accordance with my Vow, but it began to feel a bit stale. Then came the big announcement: the expansion Houston Texans’ first regular season opponent in their brand new stadium would be none other than America’s Team: the Dallas Cowboys. I was ready. It was a Sunday night game, September 8, 2002. I moved my TV to my screened back porch and chilled a six-pack of Shiner Bock. It was a perfect night for football in Roanoke, and an even better night in Houston. 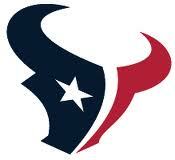 Thanks largely to my enthusiastic screaming from my perch in the Roanoke Valley (and much to the chagrin of my closest neighbors) the Houston Texans defeated the Dallas Cowboys by a score of 19 to 10. Not only did I celebrate the Texans’ win, I stayed up until the wee hours of the morning as the pundits lamented America’s Team’s defeat at the hands of this lowly expansion franchise. The high wore off quickly, and after that game, I rarely watched NFL football. I didn’t like the Redskins. The Texans were almost never televised in Roanoke. The Vow had grown cumbersome. I got tired of rooting “against”. I wanted to root “for”. In August 2008 I moved my family to Cowboys Country: the Dallas/Fort Worth Metroplex. We were excited to return to Texas, and I looked forward to renewing my support of the Texans from our home in Keller. My passion for the Vow was rekindled as I enjoyed haranguing my coworkers with what I dubbed the Cowboys “eternal mediocrity” of the modern era. I found a favorite radio sports talk show and enjoyed listening to the perpetual criticism heaped upon America’s Team by local sports pundits and fans. I celebrated each Romo interception and every miscue by owner and general manager Jerry Jones. Local friends and coworkers couldn’t understand why I refused to embrace the home team. I explained my Vow and the reason behind it; they told me Pearson’s catch was a good catch, and even if it wasn’t, I just needed to get over it. I tried; I really did. I tried rooting for the Cowboys, but it was work and I often found myself defaulting back to their opponent. Despite my desire to make a change, the Vow had taken on a life of its own. It owned me, and I didn’t like that. Finally, a friend of mine made an offer I couldn’t refuse: four club level tickets to the final game of the 2013 season in which the Cowboys would play the Philadelphia Eagles to determine which team would go to the playoffs and which would stay home. This was my chance to free myself from the chokehold of the Vow. I would buy a Cowboys shirt. I would go to the game. I would cheer on the Cowboys until my voice was shot. It was now or never. Upon walking into AT&T Stadium on December 29, 2013 the atmosphere was electric. Our seats were in section 139, row 20, seats 3 through 6. A small white towel adorned with the Cowboys’ Star was draped over the back of each seat. The stadium rocked as the Cowboys were introduced. It was an exciting game. 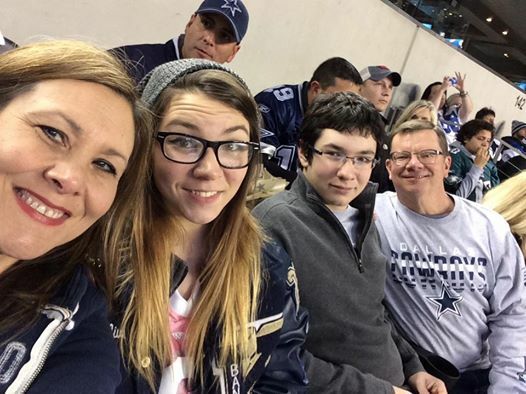 My family and I yelled until we could yell no more; I rooted harder for the Cowboys that night than I have rooted for a football team in many, many years. The outcome was not what we wanted – the Eagles defeated the Cowboys 24-22 after intercepting a Kyle Orton pass to end what could have been the Cowboys winning drive. As the Eagles fans seated among us celebrated their good fortune, I was crushed. Although my voice was shot, a cry of despair erupted from my innermost being as I grasped my head with both hands in the universal sign of shock and disappointment. “Nooooooo!” I felt as if the wind had been knocked out of me. I felt the agony of defeat. I felt….great. I felt free – free from the chains of the Vow in which I had wrapped myself all these years. My burden was cast as I shared my disappointment with thousands of other Cowboys fans who had given their all in support of their team. I can’t help but marvel at the irony. This Vow of Supreme Hatred taken at such a young age had become a burden. That burden was shed in a game that the Vow would have loved; a game in which “whoever was playing the Cowboys” did just what the Vow wanted them to do. The Cowboys season is over. Perhaps they’ll take just a bit of comfort in knowing they’ve won a new fan – one who looks forward to cheering them on in 2014. Thanks to espn.com for specific dates and scores cited within this essay. 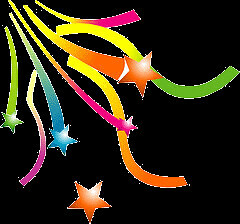 January 1, New Years Day, is one of my favorite days of the year. This day, more than any of the other 364, represents a chance at a fresh start, a clean slate. New Years Day offers an opportunity to draw a line in the sand of time, letting the past be the past as we look forward to 2014 with eager anticipation of what God has in store. My reflecting on 2013 yields positive feelings on the year that is most recently spent; my family and I had a great year. Of course, not everybody reading this will share that sentiment. As I write this, I consider friends for whom 2013 in the rearview mirror is a welcome sight. Some suffered the untimely loss of a loved one as others dealt (and continue to deal) with serious medical diagnoses. Some faced trials within their families as others lost their jobs. I lift them in prayer now, even as I count my blessings. Wise King Solomon recognized that the things of this life, of their own accord, are meaningless. In contemplating this fact, he concluded that it is only through God, who “set eternity in the hearts of men” (verse 12), that the meaningless becomes meaningful. My prayer for myself, my family, my friends, and all who read this is that 2014 is a year during which that which is truly meaningful, the eternity God has planted in each of our hearts, becomes the true object of our desire.